You are here: Home › Behind the Scenes › My Day In NYC with Woman’s Day Magazine! I’ll be appearing in the pages of Woman’s Day Magazine in their “Love Your Age” section starting with the June 2015 issue!! 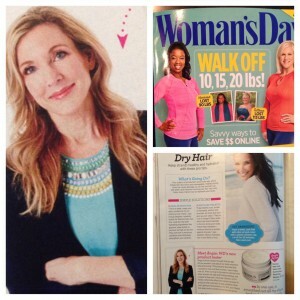 Woman’s Day had me down to New York for a photo and video shoot and I got the total celeb treatment!! Come along with me on my big day. . .
21 Responses to "My Day In NYC with Woman’s Day Magazine!" Just wanted to say my issue just came in the mail! It was so fun to see you smiling back at me. I actually forgot you were going to be in there and as I was flipping through, I saw your picture and thought “Wait, I recognize that face.” Then I remembered. Congrats! Congrats!!! I am so excited for you. They couldnt have picked a better person. You deserve it! Wow Angie you made it! I’m going to the WD site right now to subscribe. You are one of the most influential you tubers to me. Congratulations. How exciting Angie! Can’t wait to see the first issue! I love your blog and You Tube channel. I’m a new subscriber and I find the information you share extremely helpful and trustworthy. 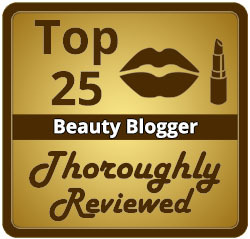 Thank you for all of your hard work researching and explaining in detail your beauty expertise! Wow, CONGRATULATIONS can’t wait to see it! How fun! Yay you! Just found your videos and blog and loving it all! Best of luck of you. Keep up the great work. Love it! “No hair, no makeup, all clean” Angie is still beautiful – congratulations! I look forward to reading your contributions. Looking forward to seeing the issue! Nice that older women can find so much info on looking and feeling good about their age! You certainly have brought new meaning to the word beauty at any age! Congrats to you! Congratulations!! Looking forward to reading your contributions! Aren’t they the lucky ones, you’ll be able to share the latest and greatest with everyone. Woman’s Day and their readers are lucky to have you!